On August 5, former head of the Ministry of Housing and Urban Development's KiwiBuild unit Stephen Barclay text-messaged Mr Twyford, saying: "To be frank, I'm disappointed a number of leads I talked to you about haven't closed." A week later, in an email to Mr Twyford's staff, Mr Barclay said he needed to give the Housing Minister an update on the numbers, saying: "He and I both agree it is the most pressing issue." Its official statement says: "The number of dwellings reported in the October status report included a very broad definition." "This matter is related to an ongoing employment dispute so it would be inappropriate for me to comment," he said. "There is new leadership in place in the KiwiBuild Unit which is working hard to get much-needed affordable homes built." The National Party's housing spokesperson Judith Collins has been scathing about KiwiBuild's management, saying: "As a Minister you've got to ask the right questions and you've got to have a culture whereby people will tell you the truth." Newshub can also reveal that Mr Twyford only found out about Mr Barclay's resignation in January when Mr Barclay himself sent out a press release announcing it - an hour after he sent his formal resignation letter. ACT Party leader David Seymour says the Minister should've been across it. "Failing Phil has failed at every hurdle," he said. 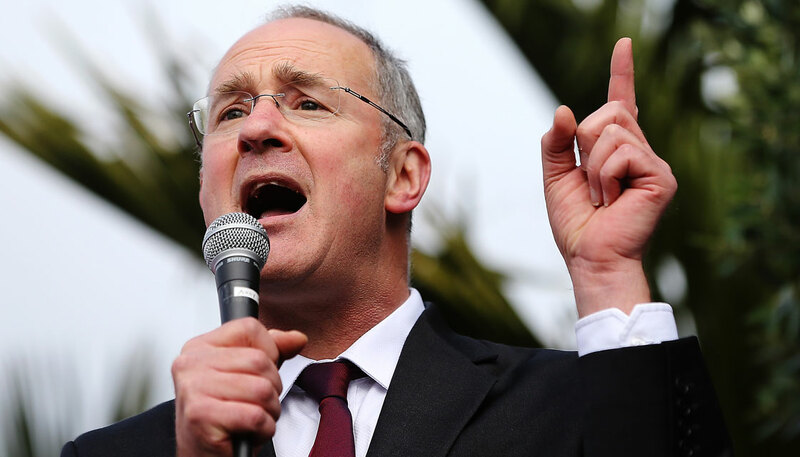 "Knowing who's in charge of your flagship policy is Minister 101, but Phil Twyford has failed at that too." Since the annual targets were dropped, the Government has been using "over 10,000" as the number of KiwiBuild homes that it's got contracted or committed. But figures released to Newshub show that just 341 of those 10,000 will be built this year, and nearly a fifth won't be built until the final two years of the programme.